Active Voice: Inhaled Beta2-agonist – A Performance-Enhancing Agent? By Morten Hostrup, Ph.D., and Jens Bangsbo, Ph.D.
Morten Hostrup, Ph.D. Jens Bangsbo, Ph.D.
Beta2-agonists are a cornerstone in treatment of bronchoconstriction associated with asthma and exercise-induced bronchoconstriction. Given the high prevalence of these two conditions among athletes, use of beta2-agonists is higher among athletes than non-athletes. While athletes formerly were required to apply for a therapeutic use exemption to use inhaled beta2-agonists while in and out of competition, the World Anti-doping Agency (WADA) loosened the restrictions toward beta2-agonists in 2010 and 2012. The commonly prescribed beta2-agonists – salbutamol, salmeterol and formoterol – are now allowed within defined therapeutic thresholds and without a therapeutic use exemption. For the past decades, researchers have debated whether beta2-agonists are performance-enhancing. Despite limited evidence to support enhancing effects of therapeutic inhalation of beta2-agonists, asthmatic athletes have outperformed their non-asthmatic peers at every Olympic Game since 2000. The reason behind this is unknown and various theories have been suggested, including genetic factors, training modality or that athletes who train the most are more likely to develop asthma. Another reason is that beta2-agonists, even when inhaled, provide performance-enhancing effects. Indeed, oral ingestion of beta2-agonist, salbutamol, may enhance muscle strength, sprint ability and endurance. The discrepancy between enhancing effects observed for oral beta2-agonists compared with inhaled appears related to the marked difference in dose administered, usually being more than 10 fold higher when orally ingested compared to inhalation. Indeed, in our study reported in the January 2016MSSE, we observed that high dose inhalation of beta2-agonists, terbutaline, enhances power output during 10-s of maximal cycling in well-trained subjects. Likewise, we have observed that high dose inhalation increases muscle strength and sprint performance in highly-trained subjects with and without airway hyper-responsiveness on par with that observed for oral salbutamol. On the other hand, there is no indication that high dose inhalation enhances endurance performance. So what mechanisms are causing the enhancing effects of beta2-agonists on sprint ability and muscle strength? Even when inhaled, a large proportion of the administered dose reaches the systemic circulation. Skeletal muscle contains a large concentration of beta2-adrenoceptors. Thus, beta2-agonists exert several muscular effects that affect force production, metabolism and fatigue development. In recent years, we have focused on such effects by collecting muscle biopsies from vastus lateralis. In the aforementioned study in the MSSE January 2016 issue, we observed that the higher power output induced by beta2-agonist was associated with increased breakdown of glycogen and production of lactate in muscle during the 10-s sprint. Notably, we also observed that reduction in muscle ATP stores was lower for beta2-agonist than placebo conditions at the end of the 10-s sprint, in spite of the higher work performed during the sprint. Thus, beta2-agonists increase anaerobic energy production and may counteract muscle fatigue caused by critically low ATP during sprinting. Aside from these effects, we have observed in one of our other studies that high dose inhaled beta2-agonist enhances muscle Ca2+ handling. Given that muscle force production and relaxation are related to Ca2+ release and uptake, this finding may explain the enhancing effect of beta2-agonist on maximal cycling power output and muscle strength. Lastly, we have observedthat beta2-agonists counteract exercise-induced reductions in muscle Na+/K+-pump function. Such an effect may delay contraction-induced accumulation of K+ and fatigue as exercise progresses. Evidently, beta2-agonist exert several muscular effects in trained subjects that may enhance performance and strength. The recent observations that high dose inhalation of beta2-agonist may enhance performance are a challenging anti-doping issue. Urinary thresholds are essential to detect prohibited misuse of beta2-agonist in doping control. Currently, no urinary threshold exists for terbutaline and salmeterol on WADA’s 2016 list of prohibited substances. Hopefully, thresholds will be introduced for these substances in near future. Morten Hostrup, Ph.D., holds a postdoctoral position in the Department of Nutrition, Exercise and Sports (NEXS), University of Copenhagen and the Department of Respiratory Research at Bispebjerg Hospital in Copenhagen, Denmark. During his Ph.D. training, he investigated performance-enhancing effects of beta2-agonists with emphasis on their effects in skeletal muscle. 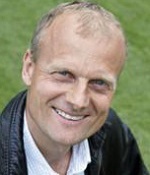 Jens Bangsbo, Ph.D., is professor and vice head of research at NEXS, University of Copenhagen, Denmark. He is the leader of the Integrative Physiology Group at NEXS. His research focuses on optimizing exercise performance, including how development of muscle fatigue is affected by high-intensity training. This commentary presents Dr. Morten Hostrup’s and Professor Jens Bangsbo’s views on the topic of a research article which they and their colleagues published in the January 2016 issue of Medicine & Science in Sports & Exercise® (MSSE).